1. Preheat oven to 375 degrees (F). Begin by crumbling and sauteeing sausage in a pan over medium-high heat with olive oil or butter. Cook until browned, stirring occasionally, then drain excess fat and set sausage aside. 2. When sausage has cooled enough, combine with cream cheese in a bowl and mix well until thoroughly incorporated. 3. Next, open your package of crescent rolls and lay out in a rectangle, using your fingers to seal the separation lines in the crescents so the dough is one full surface. When you have an even layer of dough, spoon on your sausage and cream cheese mixture and spread across the crescent dough. 4. Roll up your rectangle of sausage- and cream cheese-covered crescent dough lengthwise, wrap in parchment paper and place in the refrigerator for 20 minutes. When the roll is firm, remove it from the fridge and slice into 1/4-in. coins. 5. 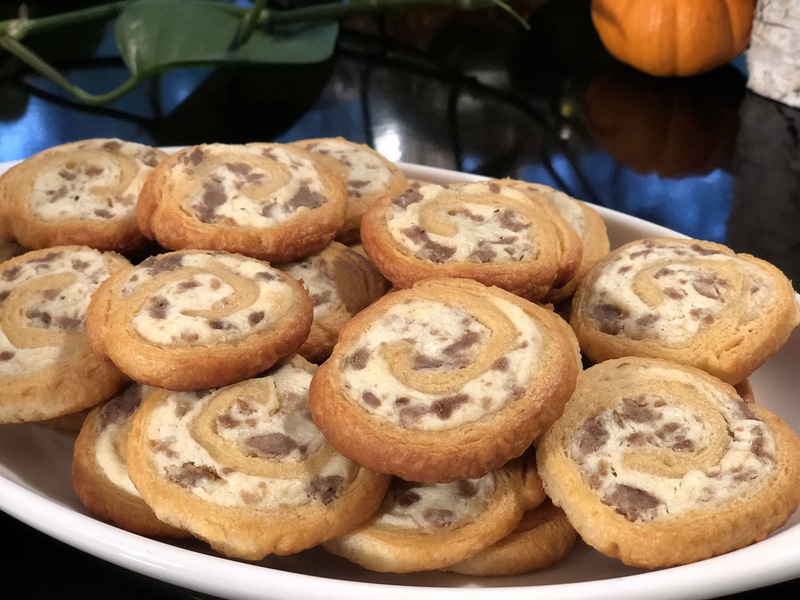 Lay out your sausage and cream cheese pinwheel slices on a cookie sheet and place in the oven to bake at 375 degrees for about 15 minutes or until each slice is golden on top. Serve to give your guests and family a new favorite! Can’t get enough of Premio Sweet Italian Sausage in your sausage cream cheese pinwheels? Try all our mouthwatering sausage varieties in your recipes today. Search for a store near you!